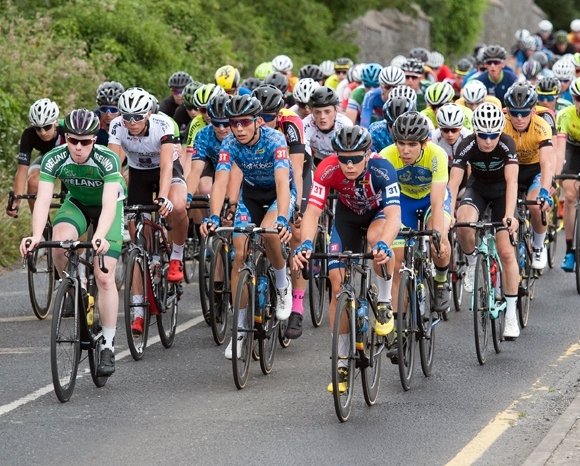 Matthew Oliveira has moved up to third place overall in the Junior Tour of Ireland as the competitors completed Stage Five. A day full of action which saw Luke Lamperti from Team Swift race to victory, Rickardo Broxham took the yellow jersey after Oliveira’s HotTubes Cycling teammate Magnus Sheffield got a puncture. Stage 5 saw the competitors compete over a 124.40km/77.23 mile course that finished on the Gallows Hill! Oliveira finished 9th in the stage with a time of 3:02:25, with Lamperti clocking a winning time of 3:02:21. Overall Broxham leads with a time of 10:53:11, with Andrew Vollmer second in 10:53:17 and Oliveira is third with a time of 10:53:25.